MC2 has been retained as the strategic communications agency for Allied London LLP, the property development and investment company, after a competitive pitch. The Manchester-based agency will roll out a communications programme to support the next phase of significant real estate development across Allied London's Manchester and Leeds holdings. 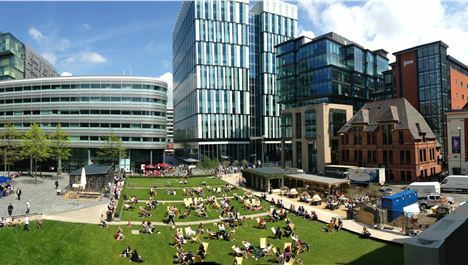 MC2 will be focusing in particular on Spinningfields in Manchester and New Dock, the soon-to-be mixed-use waterside destination on Leeds’ Southbank. Michael Ingall, Allied London LLP CEO, said: “MC2 displayed an acute understanding of both our business and our vision. The team had a key USP in that they demonstrated the ability to communicate clear brand messaging and will be offering us support more akin to corporate advisers.